Apple has never been present at the Mobile World Congress in Barcelona to present news about future market launches. We know that they are going for free and make their own individual events to hog all the media attention. Nonetheless, in recent years the event, Apple has always been a reward for California. The iPhone 4 was named best smartphone of 2010 and the iPad 2 was the best tablet of 2011. 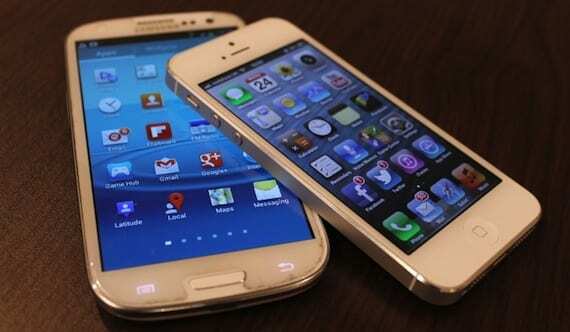 In this year, Apple has lost both titles in its top competitors in the market: the Samsung Galaxy S3 and Nexus 7 . For the category for best smartphone of 2012, the Galaxy S3 has managed to keep out terminals as pointers as the iPhone 5, HTC Droid DNA or Nokia Lumia 920. With regard to the category of the best tablet of 2012, the iPad remains a flagship product but in this case failed Apple strategy to launch three models of iPad in no time (iPad 3, iPad 4 and iPad Mini) , which has caused much division of opinion and that has snatched the title that finally led the Nexus 7 which is manufactured by Asus. In Apple certainly continue to show indifference to these results, after all, the iPhone 5 already has the title of world's best selling smatphone but should remember why they are so high and avoid complacency. For years they have done a great job but the competition is getting stronger, prices begin to be competitive and it takes a knock on the table to stand out from other products. Article The Samsung Galaxy S3 is named best smartphone at MWC 2012 was originally published in News iPhone .